Every maker has a story. Be a part of Benu Glass Creations's story by placing an order, leaving a review, and seeing your review appear here. 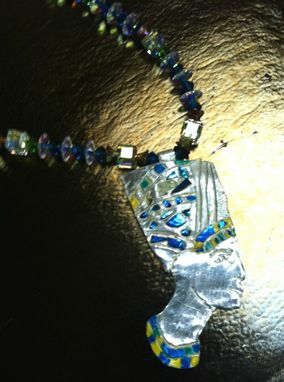 "Nefertiti Jewelry Set" – Description: Precious Metal Clay (PMC) pendant with multi-colored Dichroic glass inset 3 in. X 1.5 in. 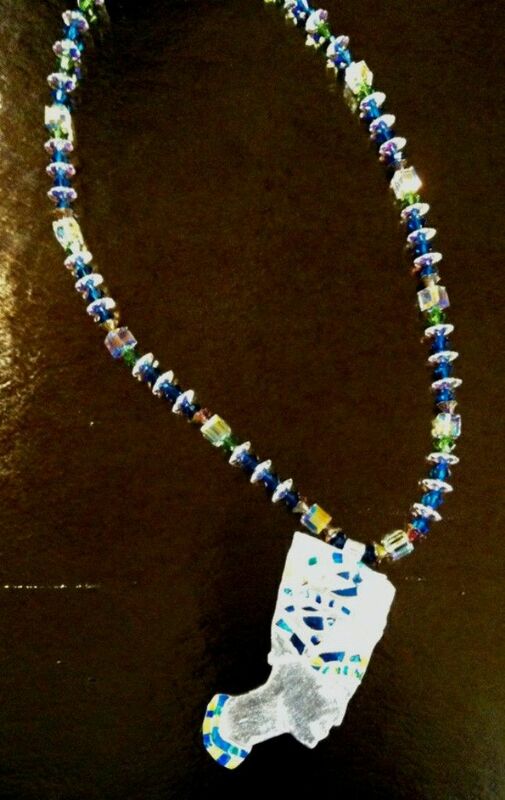 – Fine Silver bail, chain of blue, green and clear Swarovski crystals approx. 21 in. with sterling silver clasp; and 1.5 in. 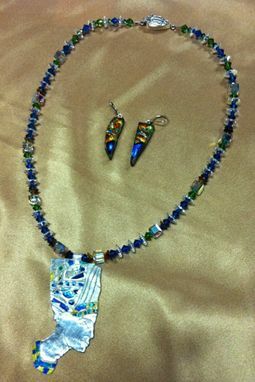 blue and gold Dichroic earrings. Signed by the artist.